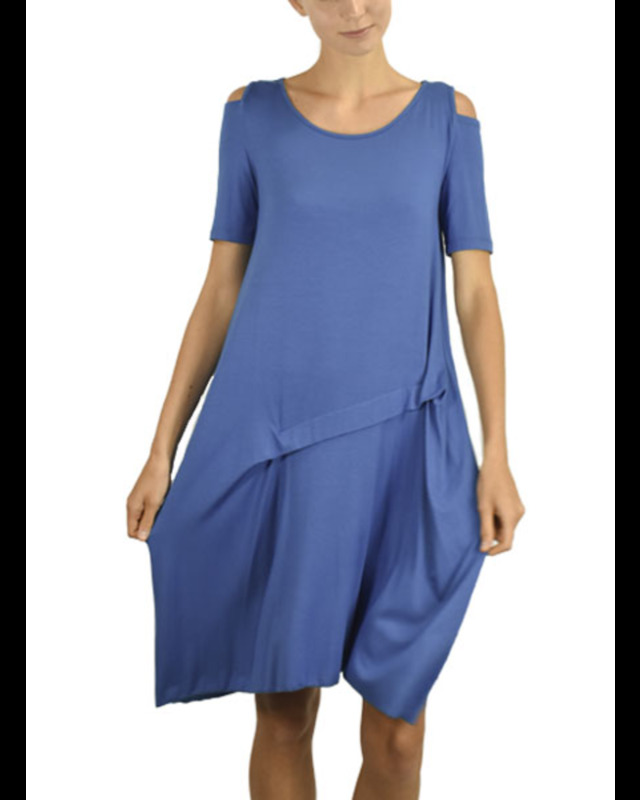 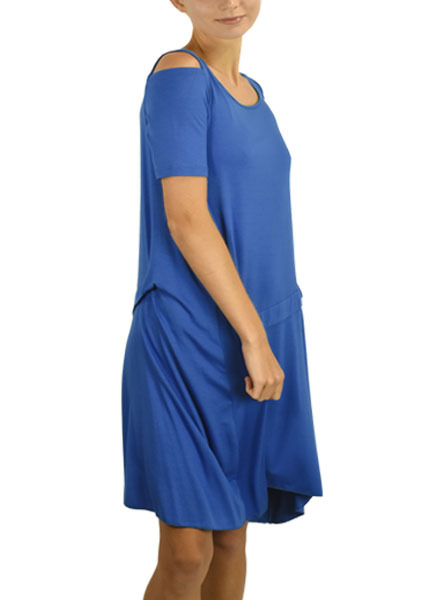 The Lorraine dress is made from Comfy’s soft modal fabric. 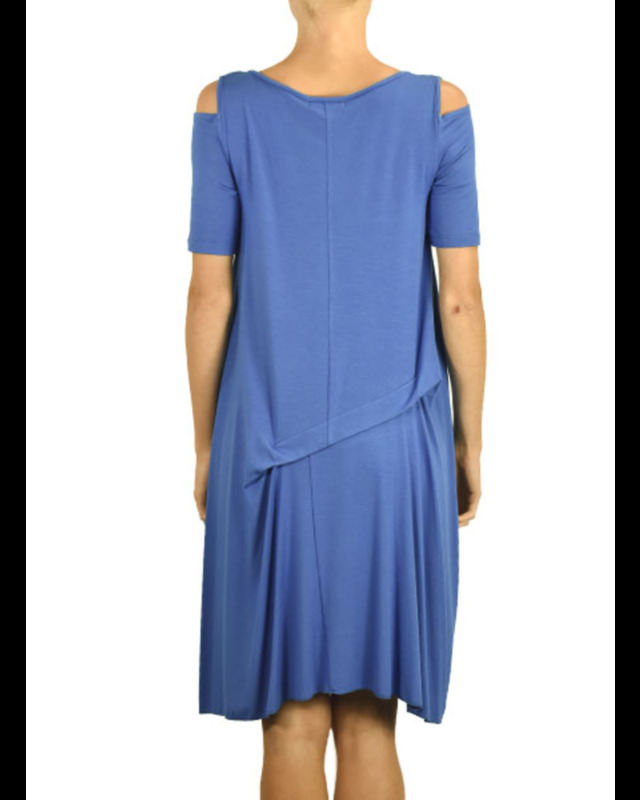 In a fabulous estate blue this classic dress features a rounded neckline, cold shoulders and a pleated asymetrical detail at the waist. 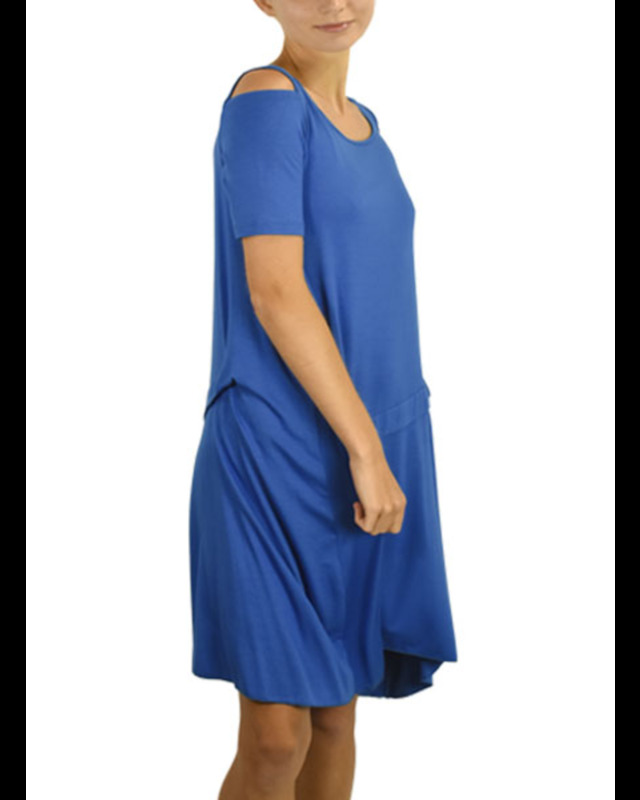 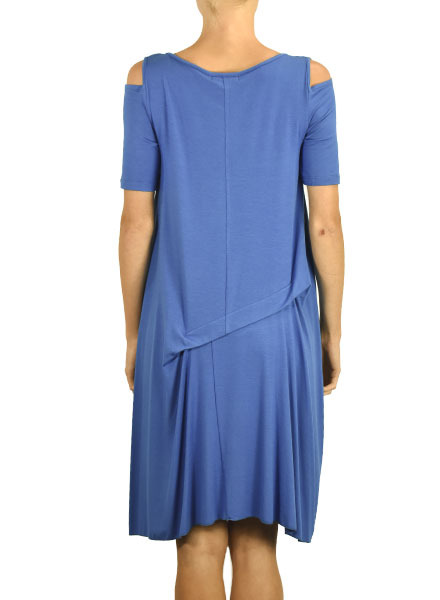 This is a perfect dress for travel and running errands in.